Dermal Fillers are products that are designed to contour, create volume, fill lines and hydrate the skin. Our product range consists of dermal fillers for the treatment of lips, facial lines, wrinkles and facial folds. The results are immediate. What is an Anti-Wrinkle Treatment? An anti-wrinkle treatment is designed to relax muscles that cause facial expression. Once the muscle is relaxed the overlying wrinkles will soften and reduce. This is a particularly popular treatment in the frown area. Dermal Fillers can last anywhere from 6-12 months. With one re-treatment; the results can last up to 18 months. An Anti-Wrinkle treatment can last up to 4 months from one treatment. Dermal Filler and Anti-Wrinkle treatments are administered by a qualified Health Care Professional in Australia. You may experience some discomfort, however this can be minimized by local anaesthetic and topical creams. You can discuss this with your practitioner prior to the treatment. The most common side effects are redness, tenderness and swelling after the treatment which usually subsides within 2-3 days. Occasional bruising can occur which can be covered by make-up. Dermal Filler treatments usually take around 30 minutes, while Anti-Wrinkle treatments usually take somewhere between 10-20 minutes. If you decide not to have another treatment your skin will return to its natural pre-treatment condition. Can dermal fill or Anti-wrinkle treatments be used in during pregnancy or breast feeding? Treatment with dermal fill and anti-wrinkle products during pregnancy or breast feeding has not been tested in human studies. As a result Refresh Skin Clinic does not recommend that these products are used if you are pregnant or breast feeding. I don’t want anyone to know that “I’ve had work done”. Discretion and maintaining your privacy is very important to us. We take confidentiality and your wishes about discretion very seriously. All of your information relating to your appointments, consultations and procedures are accessed only by authorised Refresh Skin Clinic staff and is treated in accordance with the Privacy Act. Appointments are booked with privacy in mind and are scheduled to allow sufficient time in between clients. Our location also provides for discretion and you don’t have to worry about bumping into others when leaving after your treatment. What if I want a consultation? Is this free? It is important to receive expert information prior to undertaking any cosmetic procedure. At Refresh Skin Clinic you see the Doctor free of charge and free of obligation. You need to know all of the facts and we believe that a qualified medical cosmetic practitioner can provide you with that. Please refer to our Treatment Prices Menu. Who will perform the injections? Injectable anti-wrinkle and dermal fill products can only be administered by a qualified cosmetic practitioner. These products require approval and scripting by a Doctor. 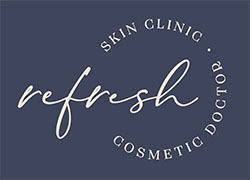 At Refresh Skin Clinic you will be assessed, treated and reviewed by the Doctor directly. This provides expertise and consistency of care to you. We recommend that you be reviewed by our Doctor approximately 2 weeks after treatment if you have had an anti-wrinkle and 4 weeks after receiving a dermal fill treatment.